Ever since Hyundai gave a hint that they will soon be throwing the covers off the new 2012 Sonata, the buzz has circulated all across and now then new look of the car has been revealed. Hyundai has done its part in generating anticipation amongst the people and has been working on the new Sonata for a long time now. Finally they have disclosed details of the car on their website and thus the traffic on Hyundai’s website has increased manifold. The website now has details regarding the ergonomics of the car as well as the interiors and exteriors. Hyundai has also given out details of dealership points and have released lots of technical specifications on the website. One can also find brochures and loads of downloadable wallpapers on the site. 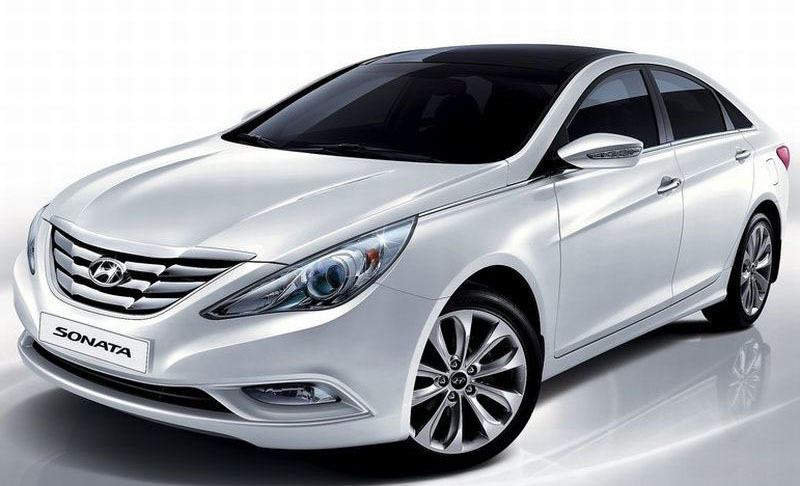 Other general information regarding new 2012 Hyundai Sonata is also available on the website. Hyundai has revealed the new Sonata 2012 at the recent auto expo and the car received a good response from the crowd. Thus owing to the response Hyundai gave a hint to the customers that the new Sonata 2012 will probably make its way to the Indian roads in March this year but there are no confirmations of the revelation. It is being said that Hyundai Sonata 2012 takes its design inspiration from orchid flower as the fluidic design of the car bears a strong resemblance to the flower. Hyundai has done its share of amalgamation of splendor into level-headedness. The exteriors of the car have been revamped to a great extent and the front grille along with the fog lights have been designed in such a manner so that they compliment the overall appeal of the car. If the front part of the car is praiseworthy then the same goes with the rear part of the car as it features LED lamp and the design of the tail-lights has received cheers from the critics. So in one word we can say that the design of the car is dynamic in all respects. The rear tip of the car has been covered using chrome and has dual exhausts. Ergonomically the car has been upgraded to a great extent and the new Sonata 2012 now features a powerful 2.4 L GDI engine capable of pushing the car to deliver a power of 201 PS at 6300 rpm and this engine has been made to bond with a six-speed gearbox which has automatic transmission. The car features a climate control system which is dual zone and fully automatic thus adjusting the temperature as per the comfort level of the passenger. Along with the interiors, Hyundai has also focused on the safety standards of the car and thus the car is equipped with modern safety functionalities such as anti lock breaking system which comes with EBD, dual front airbags, and brake assist, impact sensing door lock, electronic stability program and reverse parking sensors. All these features add to the zest of the car and make the passenger feel safe inside the luxurious 2012 Sonata.